Drug testing and child custody: Can you ask for your spouse to be tested? In every child custody case, the most important factor that a court will consider is the well-being and physical safety of a child. When making decisions about where a child should live and who can visit that child, a judge will consider each parent’s living arrangements and lifestyle. During child custody cases, allegations of drug and/or alcohol abuse are serious. A court may refuse to give custody to a parent accused of drug or alcohol abuse, or that parent may only be allowed supervised visitation. Because accusations of drug or alcohol abuse are taken so seriously, it is often not enough to simply tell the court that your former spouse or partner has abused these substances. Instead, you may need to ask the court to order a parent to take a drug test and prove that he or she is capable of caring for a child. If you believe that your spouse is abusing drugs or alcohol, you can have your attorney file a motion asking the court to order a drug test. These tests may analyze urine, blood or hair, depending on the judge’s preference and the court’s standards. After the motion is filed, there will be a hearing. At this hearing, the judge will listen to arguments from both parents, and will decide if drug testing is appropriate. Sometimes, a judge will order both parents to take a drug test while the child custody case is ongoing. This is especially common when either parent has a criminal arrest record for substance abuse issues, or when each parent accuses the other of drug or alcohol-related neglect or abuse. In other instances, one parent may have to bring the other’s drug abuse to the attention of the court. Occasionally, accusations of drug abuse or alcohol abuse are enough for a judge to order a drug test without further proof. In other cases, one parent might have to show the court evidence of drug abuse, like social media postings, photographs, or text messages. One thing parents should never do is falsely accuse each other of having a substance abuse problem in order to restrict custody or visitation rights. Family court judges take false allegations very seriously, and making unfounded accusations often backfires. What Happens If A Parent Fails A Drug Test? If a person fails a court-ordered drug test, the consequences will vary depending on the test results. Some tests, like urinalysis tests, will only show drug or alcohol use in the recent past. Other tests, like a hair follicle test, can show drug use within the past several months. Obviously, a parent who tests positive for the recent use of hard drugs like heroin will be looked at differently than a parent who only tests positive for a small amount of alcohol. 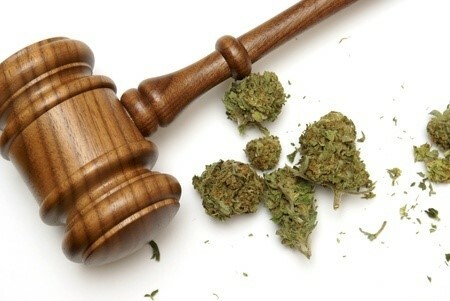 Depending on what the drug test shows, the court may take several different types of actions. First, the parent who fails may be ordered to take drug or alcohol treatment classes, as well as general parenting classes. Successfully completing these courses will show the court that the parent is attempting to create a better environment for the child. In addition, the parent may be ordered to take a second drug test after 60 or 90 days. If this test is clean, it will help prove that the parent is making changes to his or her life. If the test is still positive for drugs and alcohol, that parent may have difficulty gaining custody or additional visitation rights with the child. Overall, when a judge has to decide where a child should live and who should be allowed to visit that child, the judge will take into consideration a parent’s past drug and alcohol abuse. Though a positive drug test will not bar a parent from ever seeing the child again, a test that shows active drug use will weighs in favor of the other parent. If you are concerned that your former spouse or partner’s drug use is creating an unsafe environment for your child, you have the right to ask the court to order a drug test and consider the results when making custody decisions. At The Castro Firm, Inc. we take the safety of your children seriously, and will help you make sure that they are living in a safe environment. Our experienced New Jersey and Delaware family law attorneys can help you prove your case in court, and will make sure that the court takes your concerns about your former partner’s drug or alcohol use seriously. If you would like more information about child custody, visitation, child support, or any other family law issue, visit The Castro Firm, Inc. online. For a free consultation about your rights and obligations, call us today at (302) 225-5700.